From King Kong to Chimp Haven: Employees Who Give Back — Public Communications Inc.
At the age of 12, she decided she wanted to be the next Dian Fossey and live with gorillas in the jungle. And at the age of 40, she realized her dream of seeing gorillas and chimpanzees in the wild forests of Congo. 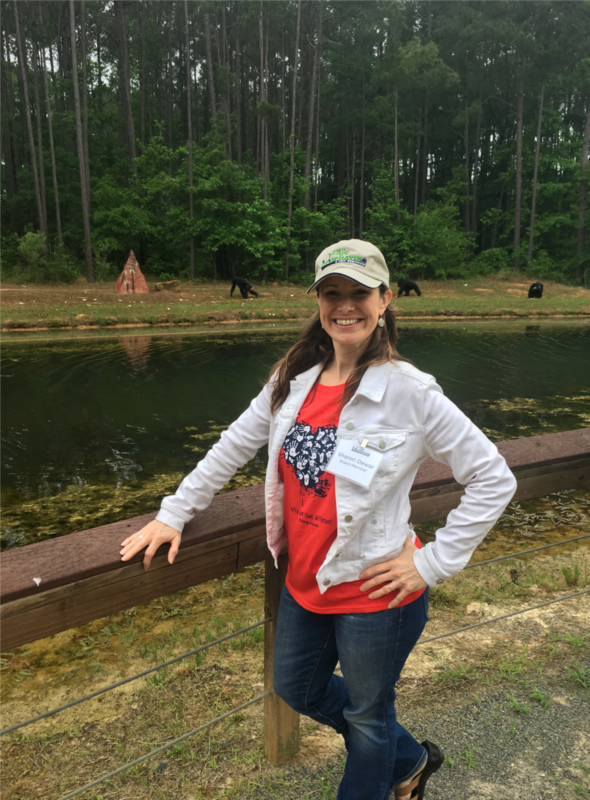 Today, Sharon plays a direct role in their care as a board member of Chimp Haven, an organization that provides and promotes the best care of sanctuary chimpanzees and inspires action for the species worldwide. Sharon is one of several PCI colleagues who meld their personal passions and professional talent by serving on boards of directors. PCI thrives on making a positive difference: for our clients, our employees and the local and global community. Our employee volunteer program, PCI Cares, promotes community involvement and service through company-sponsored projects and by financially supporting the volunteer and philanthropic activities in which our employees choose to participate. PCI wholeheartedly supports the work Sharon does with Chimp Haven to protect chimpanzees. Due to their similarities to humans, chimpanzees have been used as medical test subjects. Since the National Institutes of Health determined chimpanzees are not the best model for medical research, Chimp Haven, which sits on 200 acres of prime forested land in Louisiana, has welcomed more than 200 of these chimpanzees. The organization is in the midst of strategic planning so that it can transition several hundred more chimpanzees to retirement. Sharon is able to transfer the important knowledge she has working with Chimp Haven to the other conservation clients she works with at PCI. We thank Sharon for all the work she does to make this world a better place!